What is Moomin you may wonder now but I will come to that in a second. First of all I want to explain how I come to this topic. 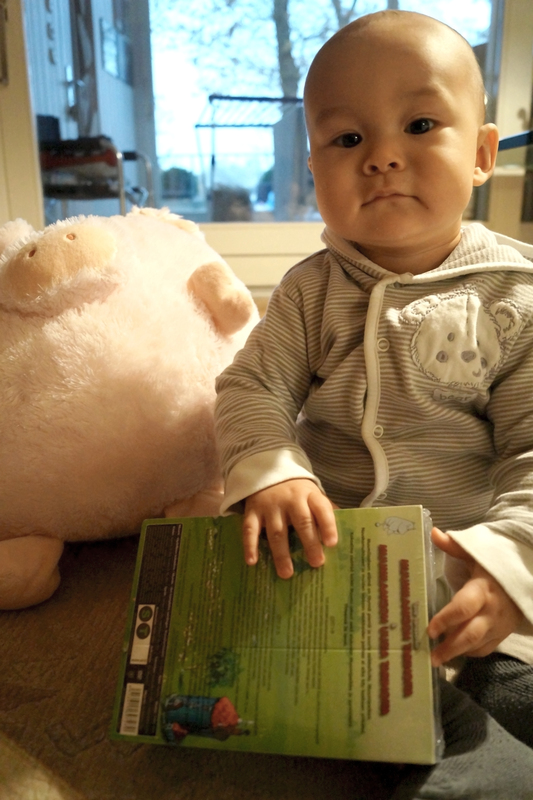 Few weeks ago my father had a great idea: Lets buy all Moomin Episodes for Nathan! For all who do not know about Moomin, it is originally a comic strip and a book series about several characters which resemble white hippos. The author was Tove Jansson, a Swedish-speaking Finn, who created these stories some when in the 1940’s. 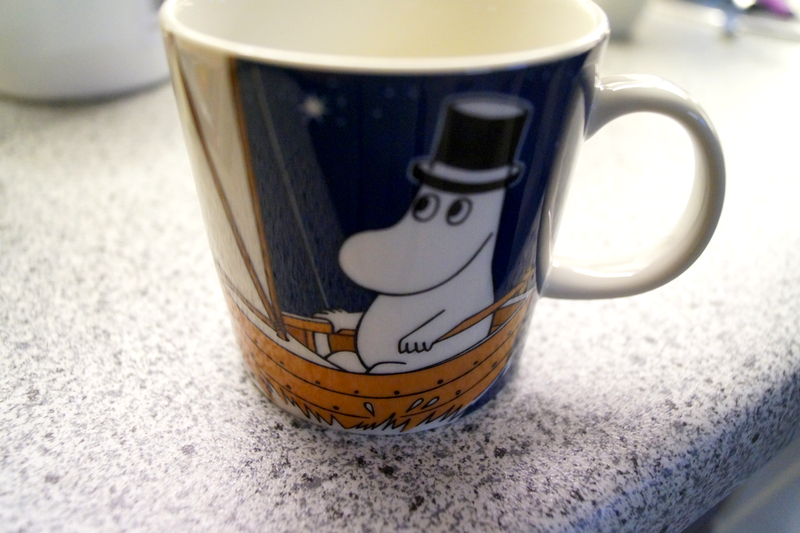 By now Moomin is pretty famous in various countries, especially in Finland and Japan! I do not know in how many languages these books and TV series (and movies) have been translated but I believe that the number is not too low as I have seen it on TV in many countries. At first we wanted to buy for Nathan the German translated version of Moomin however we quickly found out that they only translated 50 odd episodes out of the over 100. 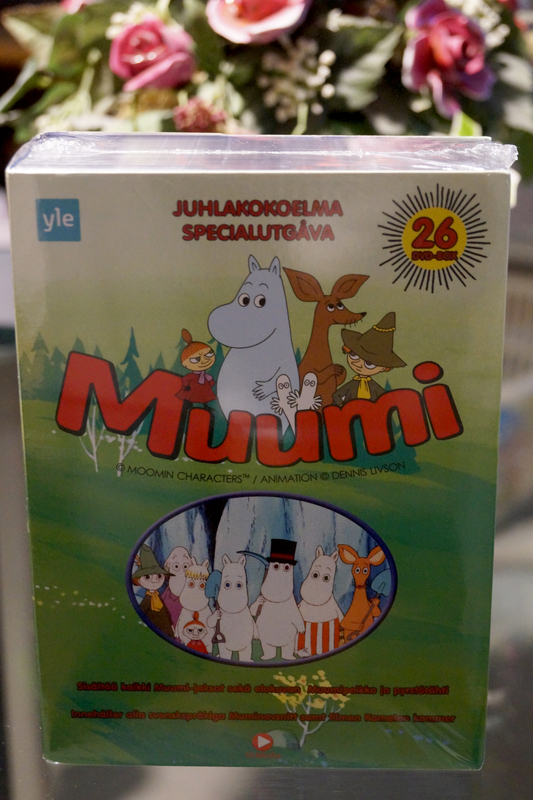 In the end we purchased from Finland the complete Moomin DVD collection with all episode plus the Movie. In case you are more familiar with Moomin you probably know that there are several different TV adaptation which have been created over the decades. In this case I am talking about the series from 1990-91, its continuation series and movie. This includes Tanoshii Mūmin Ikka 楽しいムーミン一家 (or just Moomin), Tanoshii Mūmin Ikka: Bōken Nikki 楽しいムーミン一家 冒険日記 (or Delightful Moomin Family: Adventure Diary) and the movie Mūmindani no Suisei ムーミン谷の彗星 (Comet in Moominland). As you can see from the names the TV adaptation is from Japan and it is a Dutch, Finnish and Japanese collaboration. 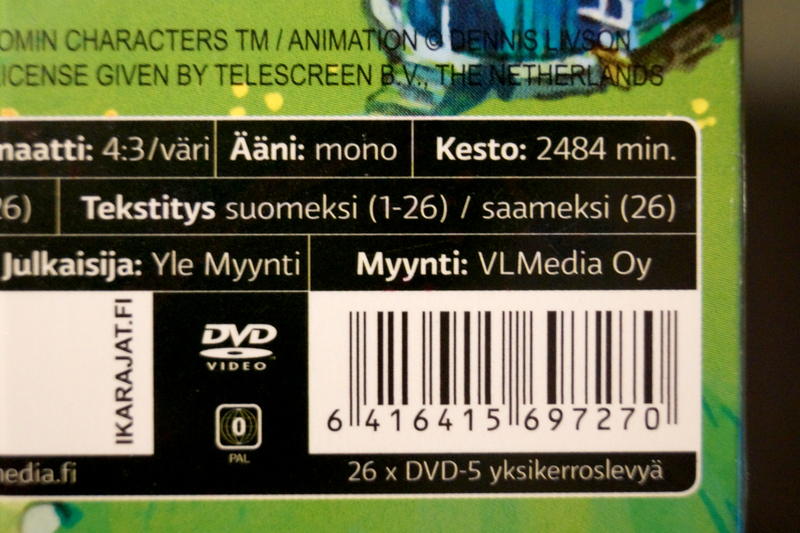 There have been previous animated TV series from Japan in int he 1969 version Mūmin ムーミン (Moomin) no other than Hayao Miyazaki was involved in it as well however he also opposed Tove Janssons viewpoint about the original Moomin which caused that she was not too pleased (actually angry) with this version (actually she was never happy with any adaptation). Anyways, I am very happy that we bought this DVD collection as I grew up with Moomin. I still have many episodes recorded on VHS as well as few comic books. I also believe that this show will keep Nathan for a long time occupied as there are over 2440 minutes of material to watch (and if he is not watching I will gladly take over!). In my youth I always wanted to visit the Moomin World in Finland but I never had the chance, perhaps Nathan will be more lucky. Besides just the Moomin World, Comics, Books, Museums and TV adaptations there are tons of other things related to Moomin as well. There are Moomin shops in Finland where you can buy everything you can imagine about those white hippos and the Helsinki-Vantaa Airport was for a time decorated with their images and Finnair even painted Moomin figures on their Japan-line planes. At home we still got numerous Moomin mugs which you can buy in nearly every store in Finland and those are particularly popular with Japanese tourists. More often than not you see Japanese tourists in Helsinki with Moomin shopping bags filled with little fan articles to bring home for themselves or their family and friends. Yes, I will try to bring Moomin also into Nathan’s world and who knows how many mugs with white hippos he will own later on. Yes, Sesame St is popular. There is even a chain of English schools in Taiwan called Sesame St and they use the characters from the show in their books. I know about the Moomins, I have seen merchandise for sale but I have never watched the series or read the comics. Thanks for the follow. I love your blog. Your baby is so cute. LIke Constance, I have never heard about Moomin. I watched something similar in my childhood, though. Something called Ma Mee Moo, a cartoon about a cow and a boy. I’m pretty sure the show doesn’t run anymore. I also watched Sesame Street, Where’s Wally and Mr Bean. I hope to learn about Moomin when I visit Finland some day. I really like cute animals, I’m sure I won’t be disappointed with Moomin. What a wonderful thing to bring into your son's life! 😀 I too want to go to Moomin Land, so I shall have to make sure to indoctrinate my future children in the wonders of them to make sure they whine about wanting to go there. "Oh well, I guess we'll have to go then…" (at the park) "Wheeee—!! Kids, you're on your own! Momma's gonna find Snufkin!" I have been in the museumas a child about twenty years ago in tampere as my aunt was living nearby. Few years ago the moomin corporation started a new merchandise wave but I am surprised that it even reached London! I didn’t know that little guy originated from Finland 🙂 Always just assumed he was Japanese. He’s so cute. What’s he like? Maybe I’ll check him out on youtube. Nathan will be glued to the tube, I’m sure! Yes, Mumin is very popular in Japan. The character “Little Mi” (リトルミイ) is bossy! There are “Mumin Stores” in Japan. Yeah, it’s certainly among the cartoon characters that most Japanese can easily recognize! I liked fairy tales when I was a child, and I used to enjoy watching Sesame Street with my children. We all enjoy sharing the characters we loved when we were children with our own children. Adult books and movies don’t have nearly the staying power that children’s books have.